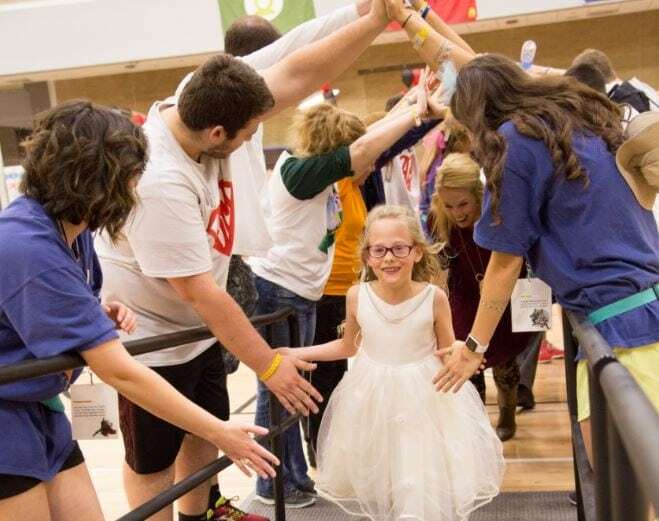 On Saturday, March 4th, 939 registered dancers rallied together to support the children treated in McLane Children Scott & White Hospital in Temple, Texas. 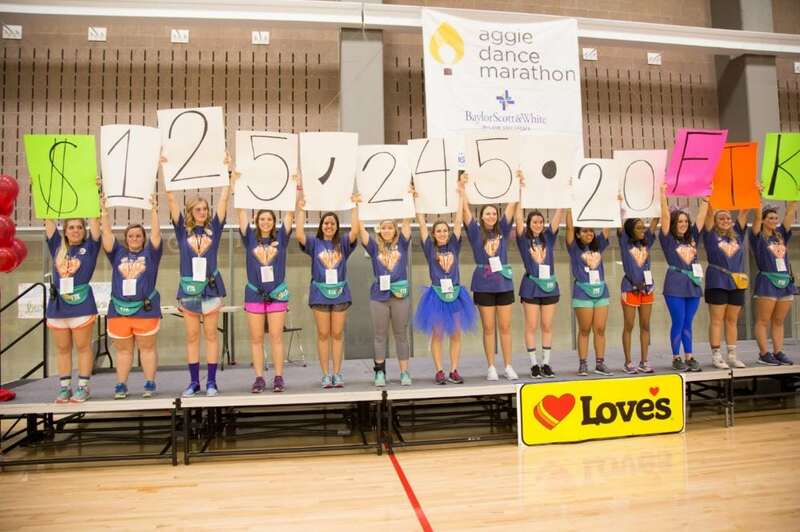 At 9am dancers poured onto the Texas A&M Campus where they would stand for 12 hours to change the lives of the children they would see before them that day. 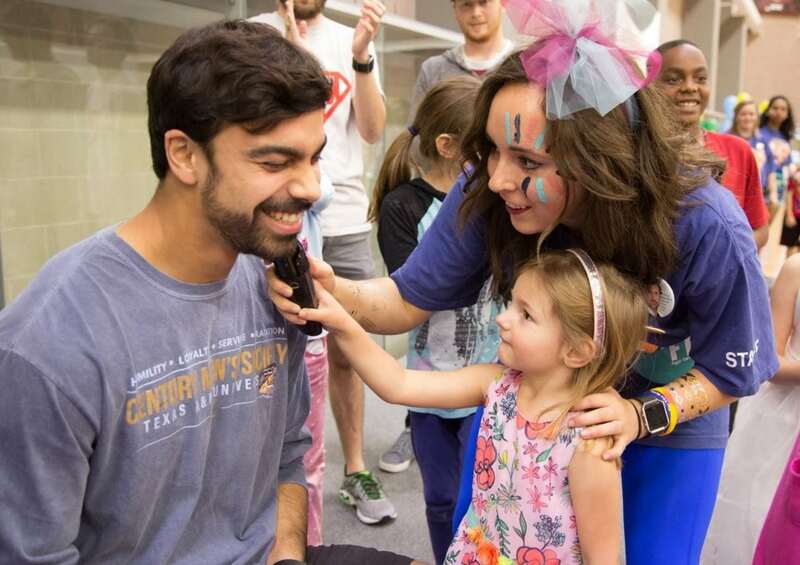 At Aggie Dance Marathon, dancers played games, put each other into jail, and much more. Throughout the day, various Texas A&M organizations performed and entertained them and helped pump the morale throughout the day. One minute a dancer could be playing corn hole and the next they could’ve been cuffed and put into jail by one of our miracle child, Maya. As time passed the jail grew more full and we finally had to have a jail break! People raced each other through an obstacle course and stack building block to do our superhero wall smash! They also took pictures with Guide Dogs for the Blind in our Love’s Puppy Kissing Booth! The best part of our day was having our Miracle Families come speak to us. They each come to us with a different and unique story about their experience at McLane Children’s. As they played and interacted with the students around them, they got to celebrate being a kid. That’s all we could ever ask for is our miracle kids to just be kids again. This year we were able to host a hypnotist at our event! This is the first year we have had outside performers come to Aggie Dance Marathon. It proved to be a hit as participants watched friends and family be hypnotized in a fun and friendly way. We were able to engage everyone at our event in one activity for over an hour, which was a great way to have every single dancer involved in the same thing. Our goal for Aggie Dance Marathon 2017 was to raise $100,000 for McLane Children’s Scott & White Hospital. At the end of our event at 9pm, we revealed that we raised $125,245.20 FTK! This was a 40% increase in fundraising from the Aggie Dance Marathon 2016, where we were able to raise about $76,000. This huge jump in fundraising would not have been possible without the support of Love’s Travel Stop’s and Country Stores. 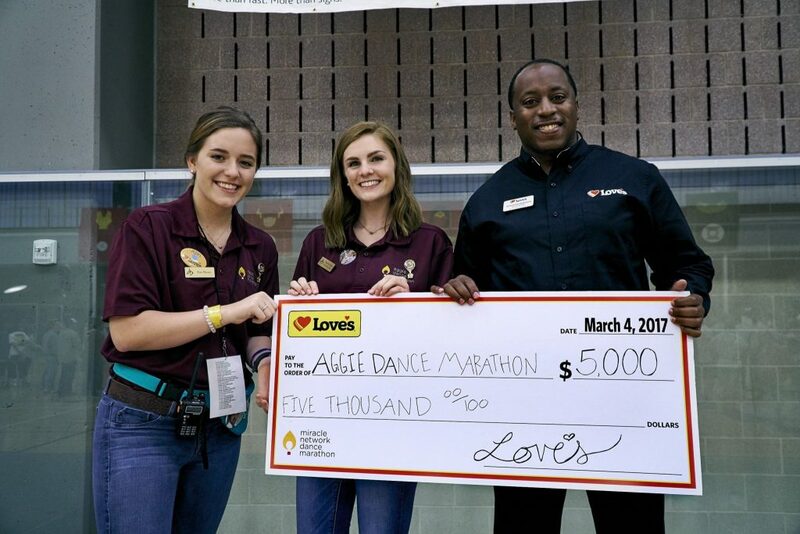 Love’s provided us with the funds needed to host the event in a new venue and provide a T-shirt for every one of our dancers, something that we have been unable to do in the past. 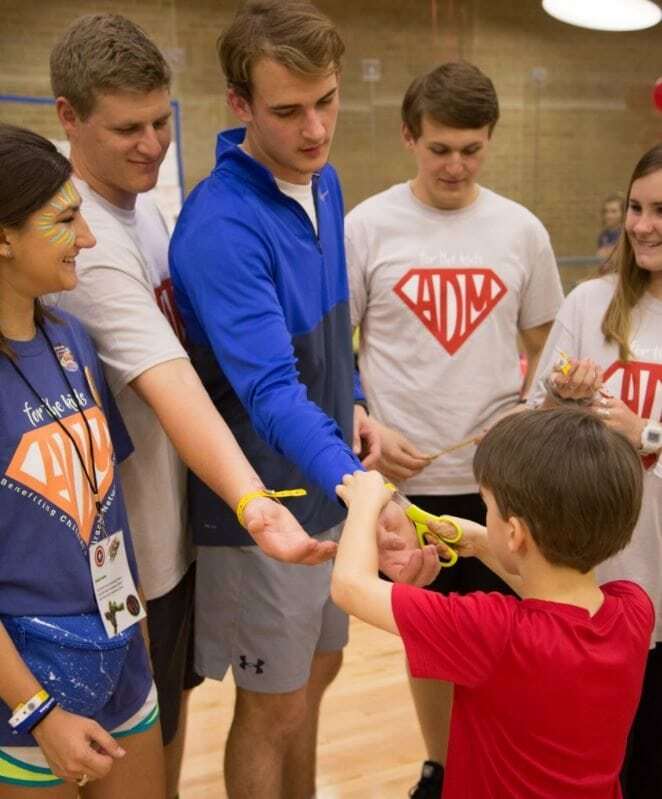 Texas A&M University has over 1,000 philanthropic and service organizations so it has taken some time for Aggie Dance Marathon to gain traction and for us to educate the students here about the cause. ADM 2017 was the fourth year for our event and we have noticed a huge change on campus. We are no longer just another philanthropy or just another event. We have major student leaders reaching out to learn more, the student newspaper asking us for interviews and footage from the event. We have also increased our outreach to the greater Bryan/College Station community surrounding our great school to engage individuals who will be living in this area for more than a few years. We know that Aggie Dance Marathon will have a rich future on a campus founded on pillars such as selfless service, leadership, and humility. Next post: Cheer, Play Football, MAKE A DIFFERENCE.